The summer programme at the Kim? Contemporary Art Centre presents an exhibition by Indriķis Ģelzis titled “The Meeting” on display from July 17 to August 5. “The Meeting” depicts a personal observation of peculiarities of perception during motion. 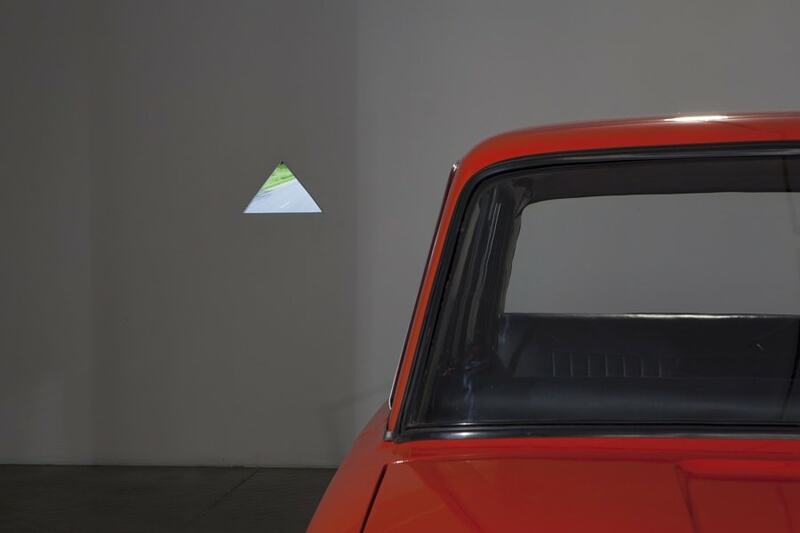 The exhibition consists of three video pieces and an object. Two of the objects are literally depicting signs “Children” and “No passing”. The third video consists of two separate shots. The first shows a car with a man and a woman driving it. On the next shot these people are outside the car at the engine compartment and the opposition of the frame places the arms and legs “inside” the car seats. 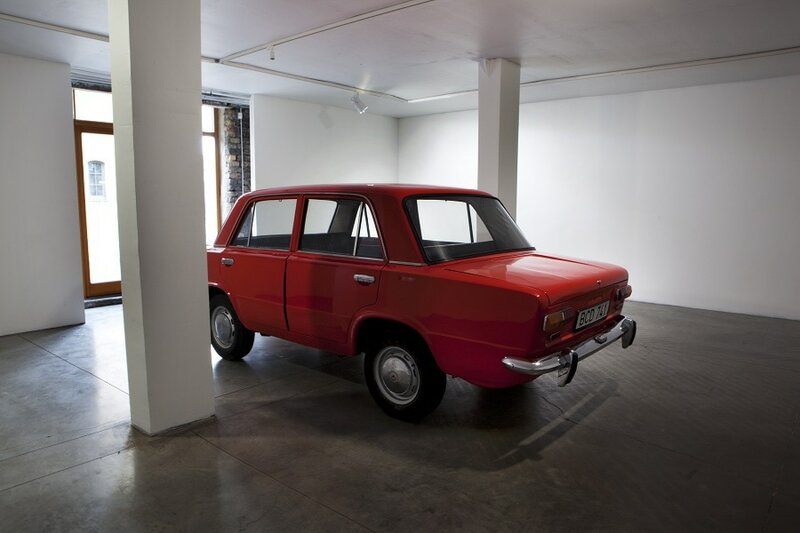 The object is constructed from two “Lada 2101” that have been separated in to two identical parts. 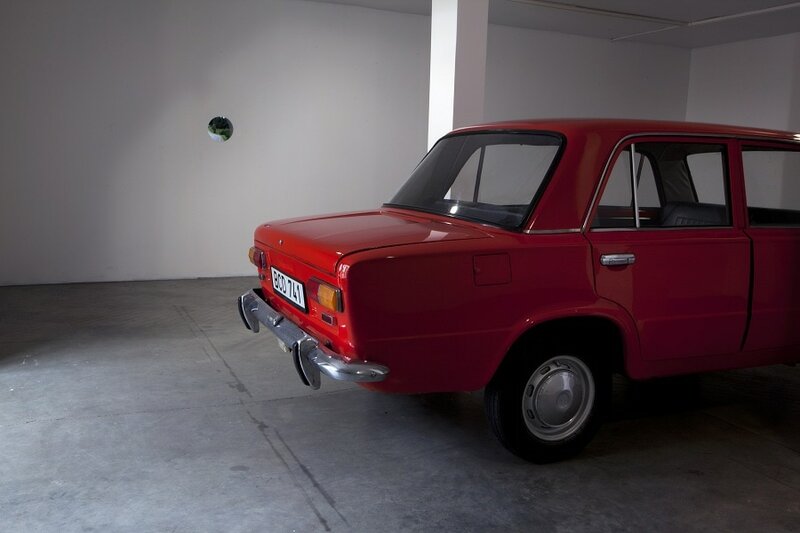 As a result the both back parts of the cars are united creating one common object that serves as a central object for the exhibition and for the videos exhibited. The exhibition continues to display the work of this video artist, which started this spring as part of the Kim? three year anniversary programme with his exhibition “Blind Sounds”. Indriķis Ģelzis has participated in exhibitions and art festivals in Germany, the Netherlands and France. Among his most recent exhibitions are: “To Get Lost in One’s Own Eyesight” on display in Cēsis during the summer of 2011, “To Detect the Enemy” in Zwolle, the Netherlands, during the Beeldbuis video art festival as well as the evening of Latvian video art in “Mains d’œuvres” cultural centre at Saint-Antoine, France.